Happy Wednesday friends! I hope you are having an amazing week. 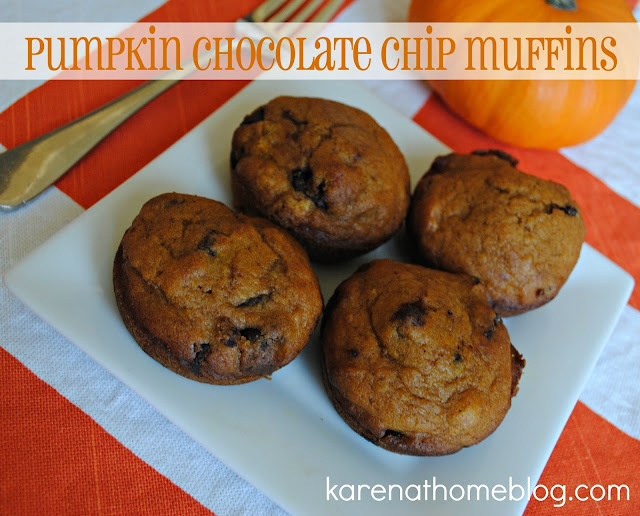 We have been feeling that Fall chill here and what couldn't be more perfect on a cool Fall morning than a Pumpkin Chocolate Chip Muffin with your coffee? I made these last week for our MOPS play date and they were a huge hit. Enjoy! 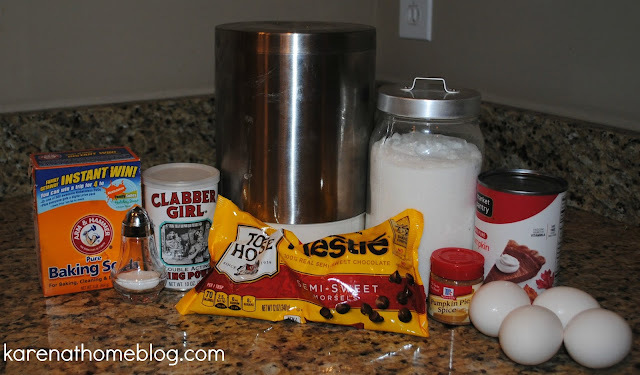 *If you don't have Pumpkin Pie Spice you can make your own. The substitute for 1 Tablespoon of Pumpkin Pie Spice is: 1½ teaspoons cinnamon, ½ teaspoon nutmeg, ½ teaspoon ginger, ¼ teaspoon allspice. Light a fire, pour a cup of coffee, grab a good book and a muffin and enjoy your week! These muffins look delicious! I'm pinning so I can try! These look really good. Thanks for sharing with us on the link up.